King’s College has recently returned to using handheld lasers to deter its unmanageable population of Canada geese, considered a non-native species in the UK. King’s Domus Bursar Philip Isaac told Varsity that using a laser on the geese has reduced the number living in the grounds of King’s from a height of 50 in 2017, to around 15 today. While the College took no action to deter geese throughout the spring of 2018 as numbers were low, the population began to rise in the summer months – resulting in the laser method being brought back into use. When the goose population was at its highest, it did cause a number of problems from the College – with the geese being emboldened enough by their large group to walk into Front Court and attack guests waiting outside King’s Chapel for the Evensong service, according to Isaac. King’s First Bursar Dr Keith Carne has said that thus far, the policy of using a handheld laser to discourage resident geese has been “reasonably effective”, but that the high population of Canada geese in Cambridge remains a problem, as it “causes a lot of damage to the area”. Rumours of the College’s plans to ‘remove’ its population of geese in early 2017 drew ire from a large number of students, and resulted in a petition from the ‘King’s College Members Against a Goose Cull’ signed by 180 students, as well as protests on King’s Parade. The rally saw students chant “peace for geese”, amid fears that King’s had stopped its use of “non-lethal” methods and had opted to cull the geese. Protesters believed that the College intended to capture and remove geese from King’s grounds, after a pen had been constructed in the College gardens, which they believed would result in the geese being handed over to an external contractor and killed. A spokesman from the Royal Society for the Prevention of Cruelty to Animals did not endorse the practice in a statement to The Telegraph today, saying: “As with humans, we would not support shining a laser directly into an animal’s eye." However, they also said they understand the practice is being researched, and so their position may change if the deterrent proves "humane". 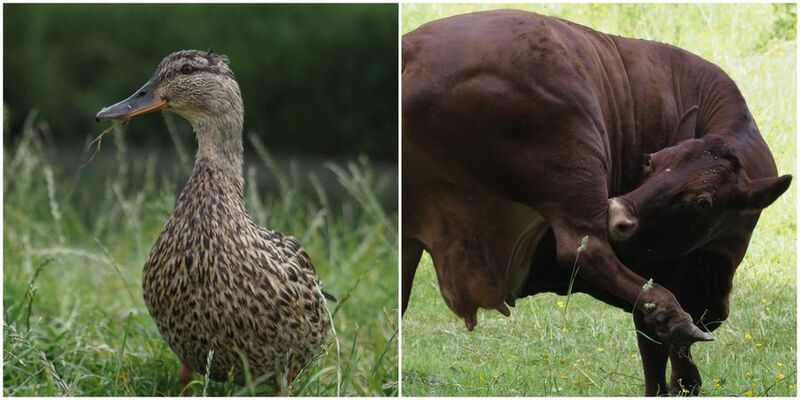 The College clarified in 2017 that they were not carrying out a cull, and Carne said today that “we have not been removing the geese – we have been trying to frighten them away”. At the time of the protests, Anjalene Whittier, who sat on the MCR at the time, wrote on Facebook that “if we continue allowing geese to breed, we risk infecting some of the lowest-paid yet hardest-working members of staff with diseases”, and emphasised that the growing population of geese posed a threat to biodiversity on the River Cam more generally. Speaking to Varsity today, Whittier said that she felt “if those facts had been circulated alongside the petition, I doubt that many students would have signed”. Whittier said “King's students have always prided ourselves on our commitment to supporting the rights of living beings, regardless of species”, and that she believed “that all students involved in these discussions had the best of intentions and as such were ultimately able to recognise the complexity of this issue: geese, humans, and other fauna (and flora) are all implicated in the currently poor health of the River Cam, and nursing it back to health would require delicately balancing the relationships among these lifeforms”. She added: “I think an ideal solution would be for all the Colleges along the Backs to meet to discuss this”, along with a wildlife conservationist, before they “agree on a course of action, and then present their proposed measures” to students and the public. One measure sometimes taken to control populations of problem Canada geese is covering eggs with mineral oil after they have been laid in the nest, to prevent them hatching. However, Carne said “a decision’s not been made” on whether to use mineral oil, and “that it would depend on the number of geese nesting”. Note: This article was amended on September 7th to include comment from Crisford and Plumpton.